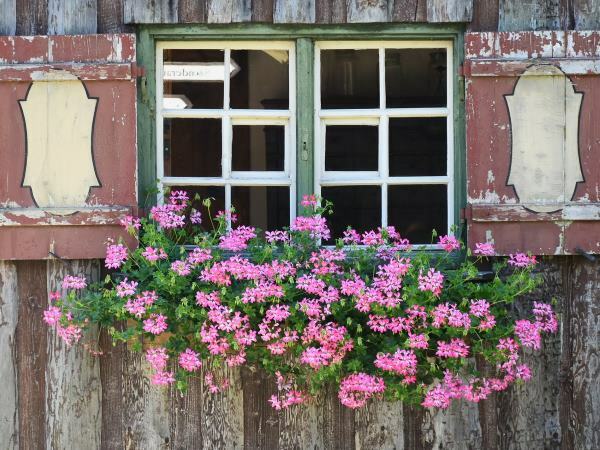 Pelargoniums are most commonly known as Geraniums - we've all seen these brightly colored balls of flowers that bloom all summer and don't want to quit. 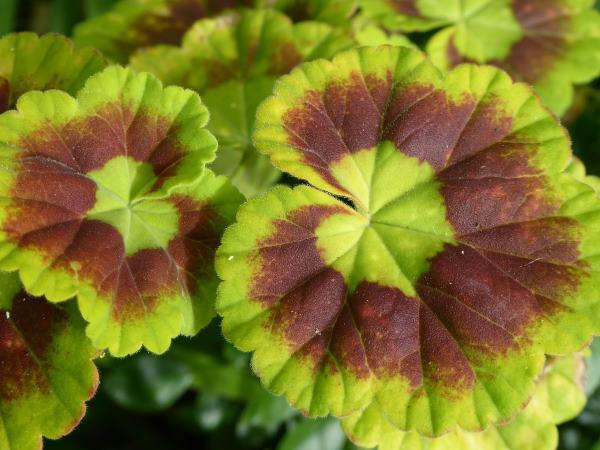 There are three main kinds; zonal geraniums (Pelargonium hortorum), ivy geraniums (P. peltatum) and Martha Washington or regal geraniums (P. domesticum). They all produce seeds the same way - among the clusters of flowers, you may find weird spiky seed pods, which start out green, gradually ripening to brown or beige. The development of seed pods all depends on if you (like me) tend to slack off on the deadheading at the end of the summer. 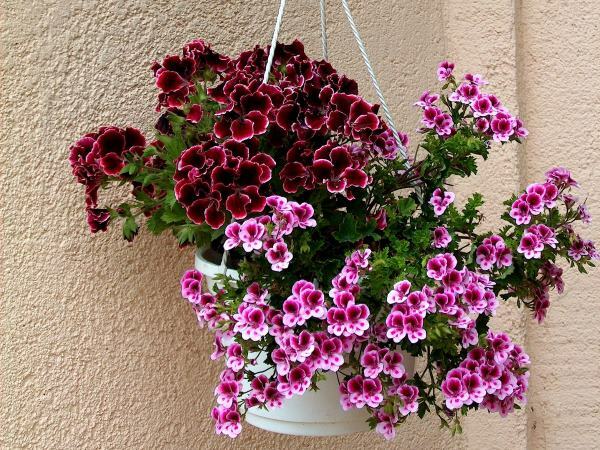 Why Collect Seeds from Geranium Plants? 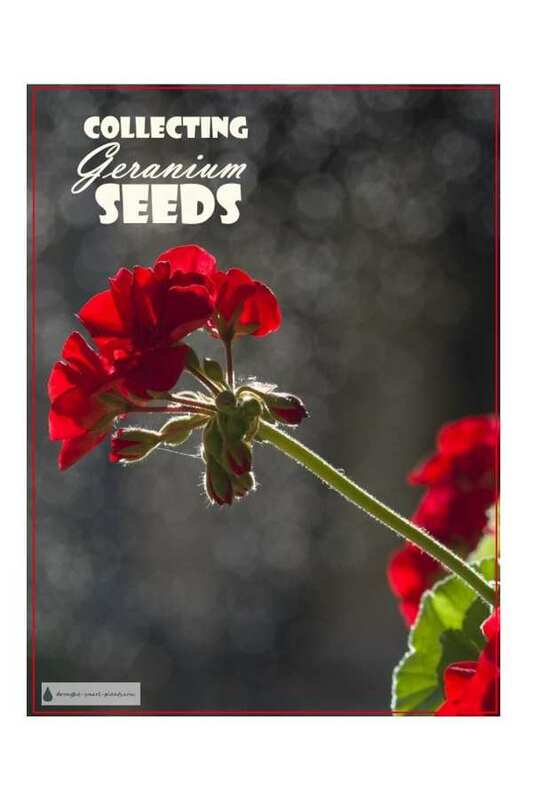 The seeds can cost upwards of $15 for a package containing 50 seeds - save some money by collecting your own! Keep in mind that even if you collect seeds from a named cultivar, there is no guarantee that it will be the same. 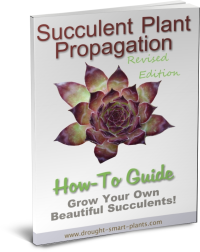 To keep named varieties going, use an alternative method of propagation, such as taking cuttings, which will be identical to their parent. Cut or pull them off the flower before they ripen, otherwise they may open and the seeds will pop out. They don't require a cold period like some seeds, but they do need to be dried before they'll germinate. Once they dry the seeds pop out of the seed pod. As the pods dry, they split and open, and each one contains a spike, with several seeds on the end. Dry them on a paper towel, and remove all petals. Then they can be stored for a few months in a paper envelope or paper bag. Keep them in a room temperature area - not too hot. They separate easily, and they can be sown on pasteurized or sterilized soil to prevent damping off. They don't take long to germinate in most cases, a few weeks at the most. If you've got a grow light, they can be started almost immediately, but most people leave it until January or February to start them. This gives them long enough to grow before they get so big they need to be sent outdoors in the wild. They need darkness and warmth to germinate, so cover the seeds for the first few days until you can see the tiny first leaves.